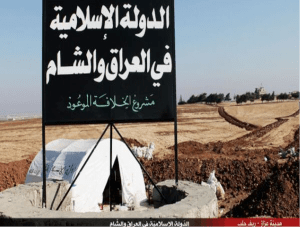 The ISIS use of Social Media is not a new phenomenon but a standard practice by Jihadists to control the cyber airwaves with information that supporting their cause and debunking anything contrary. They use symbolic imagery to demonstrate their military prowess, execution of Apostates, and their overall strength. They use social media to target non-believers, even and most recently within Islam as they purge Shi’ite rule in areas of Syria and Iraq. They demonstrate control through speeches, news, twitter feeds, images that portray religious symbolism. Searching on ISIS only produced 36,000,000 hits false positives notwithstanding. What is telling about their use is the messaging itself. Abu Bakr al-Baghdadi is being portrayed as a modern day Salahuddin working to spread Islam to the gates of Jerusalem while fighting the Crusaders. 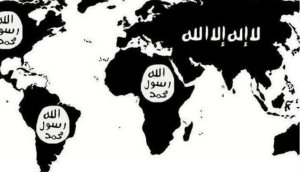 Al-Baghdadi’s followers claim he is working to establish the Twelfth Caliphate and the on the ground imagery supports this (Establishing the Caliphate). There is a myth of invincibility being spread about al-Baghdadi and past reports of his demise. His ability to survive attacks by the US is spreading with each new victory and land grab. He is seen to be hidden (a reference to the Twelfth Imam and return to the Caliphate). A ghost who cannot be killed. Al-Baghdadi is said to come from stock educated in Islam, holding a PhD. Much like the Prophet (sws), there is folklore being spread about al-Baghdadi that shows alignment to the Prophet (sws) without calling it as such. For example, his love of poetry and his battlefield acumen are claimed but not proven. He is seen as the heir apparent to Bin Laden where Zawahiri has been replaced and forgotten (al-Baghdadi having openly criticized and defined Zawahiri in the past). A disciple of the brutal Zarqawi, al-Baghdadi has swept across Eastern Syria and Northern Iraq in a blitzkrieg move all caught on social media. The use of social media is not new. It is the content of this particular effort that is remarkably different. 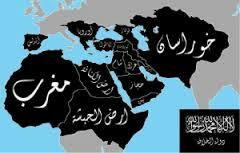 Al-Baghdadi is providing physical safe haven in the heart of the Middle East. A historic parallel not lost on the perpetrators of the propaganda. Is it conceivable that Al-Baghdadi just the ISIS version of “Dred Pirate Roberts”?